Today only: Save $400 on the Vello Speedboosters at BHphoto! 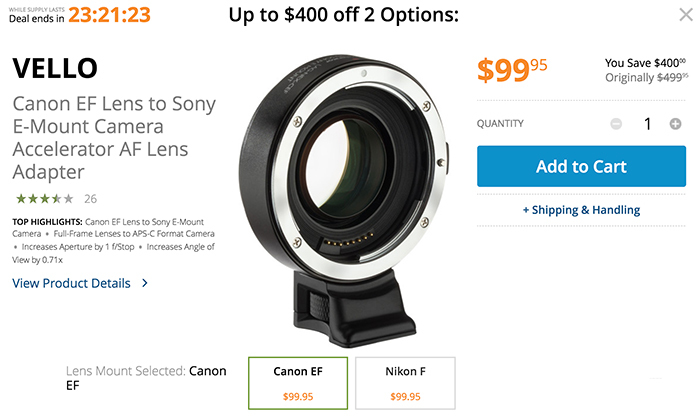 This one runs today only: $400 off on the Vello Speedbooster and AF adapters for Canon EF and Nikon F lenses at BHphoto (Click here). 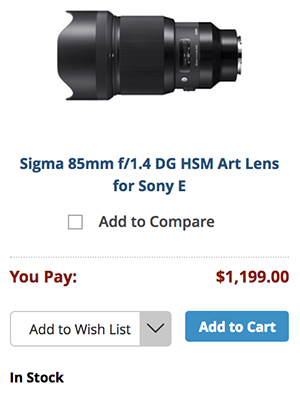 The new Sigma 85mm f/1.4 ART lens is in Stock at BHphoto. previous post: Sony A7III kit in Stock. New Sigma FE and Tamron FE zoom will be in Stock within days.